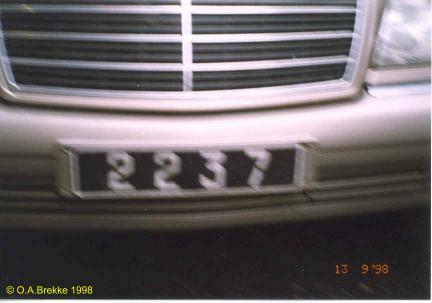 New style plates were introduced around 1997. 2237 Normal series since around 1981. 1981-97 plate style. No coding. VANUATU appears unofficially on the plate. 2237 Front plate of the above. Without VANUATU on the plate. 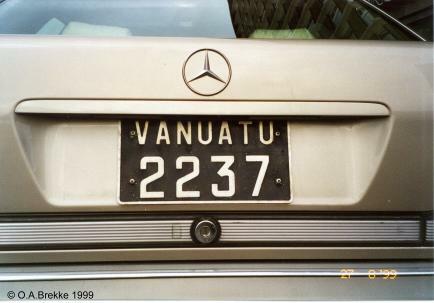 Note: It is very likely that this car has never been to Vanuatu, but is registered there to save taxes. See this page about tax free plates. Similar rules as for Gambia applied for Vanuatu, too.